Helloooo beautiful people! I know it has been well over a month since my last post, sorry for being a bad blogger during this period. The first half of the year hasn't been the best for me. I have constantly being feeling drained, tired, burnt out and unmotivated. Pretty much over everything really. I kept struggling in keeping up with everything. Nobody ever has control of time but I felt like I was running out of time for everything and my to-do list just kept getting bigger, bigger and bigger. Instead of ticking things off my to-do list, I just ended up chucking the listing in the bin and ignored whatever I had to do. There certainly wasn't any "me time" because all I was doing was running from point A to B to C to D to E. It felt like a never ending circle. I know quite a few of you guys live a similar crazy lifestyle to mine so when you have all that happening in the background plus going through a quarter life crisis, you may know that life suddenly becomes extremely exhausting. It is like you would feel awfully lethargic every single morning when you wake up. I know this probably sounds like a petty little whinge but I really wanted to get this off my chest, share this with those that might be feeling the same and ask, how do you guys constantly manage to live such crazy and busy (but balanced) lifestyle? ANYWAYS, enough for the whinging. To kick things off, here are a few of the things I have been up to. My relatives from America and Malaysia paid a visit to Sydney so I decided to take them to Cafe Sydney. It was always one of those places that I have been longing to check out. Despite the crazy gust of winds and sitting outside in the 11 degrees chill, the overall experience was still pleasant. How could it not be with such a view. Thank gosh they had warm cosy blankets for us that night. I couldn't go past their seafood platter. Who can say no to morteon bay bugs and crab? It is served on a plates of ice so I didn't have to worry about the food getting cold in the winter chill. 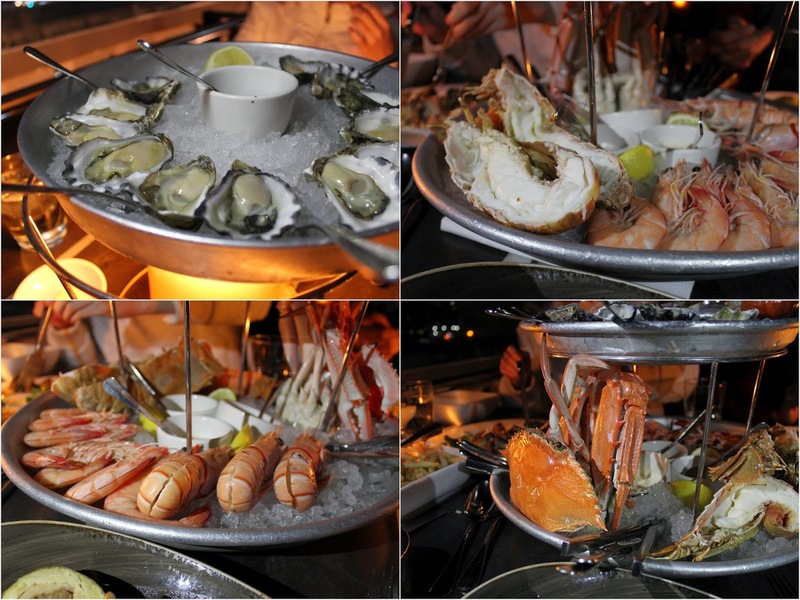 The seafood was fresh and there was a fair amount of meat in each of the seafood. But best of all, the meat was sweet. Not bad for $135, given its location and smack banging view of the bridge. 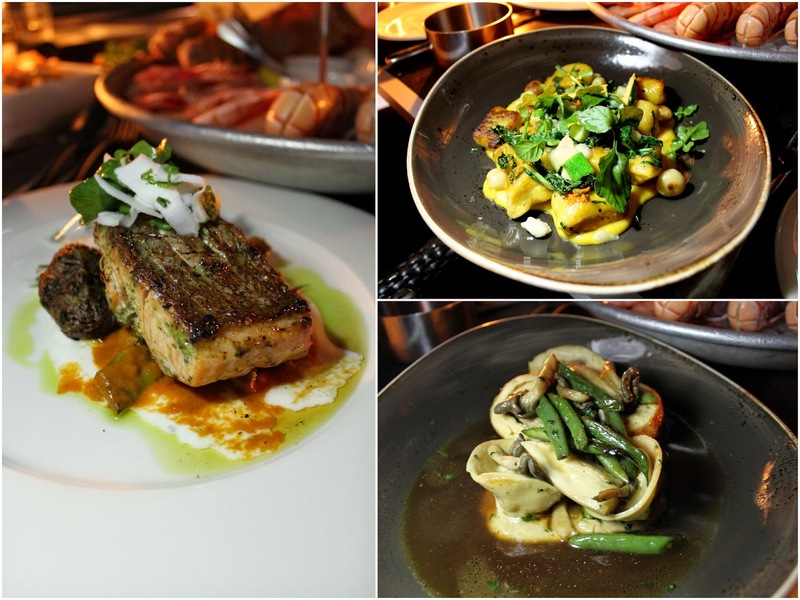 All three mains were well made, flavours were well balanced and nothing was over cooked. The stand out dish for me was definitely the pumpkin sage gnocchi. It was probably one of the best gnocchi I have had. It was super soft, delicate, pillowly and the texture was silky smooth. Absolutely heavenly. I could easily inhale that dish on my own. Despite how full I was after all those dishes, I was determined to push on and get some desserts in mai belly. The dessert platter comes with three different desserts but it doesn't come with the salted caramel, chocolate peanut tart. Luckily, we were able to swap one of the desserts around. 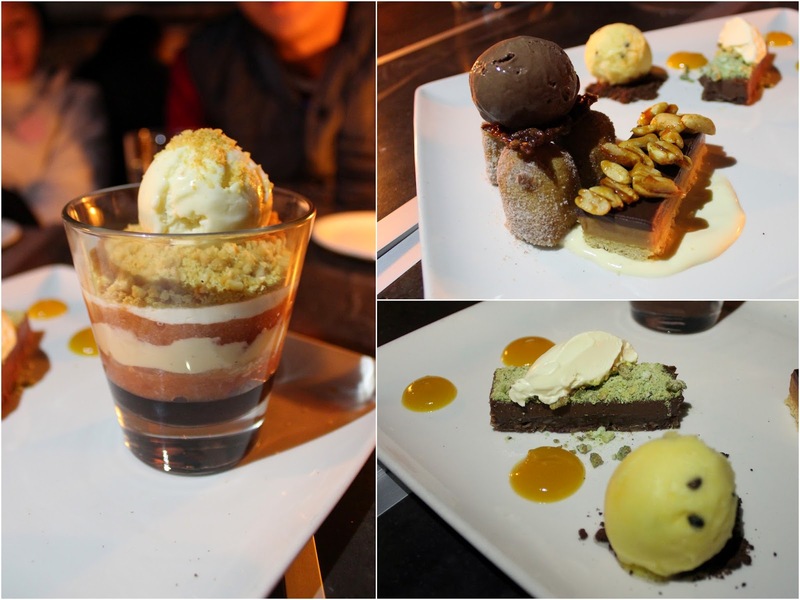 I expected all three desserts to be intensely rich or sweet but surprisingly, the almond trifle and the passion fruit sorbet with the pistachio crumble were light and refreshing. The salted caramel, chocolate peanut tart was of course sweet and salty, although I would of preferred if there was a bit more salt in the tart. Despite being out in the 11 degree chill, overall it was a great night out. I can't wait to come back for more of that delicious pillowy goodness in their gnocchi! 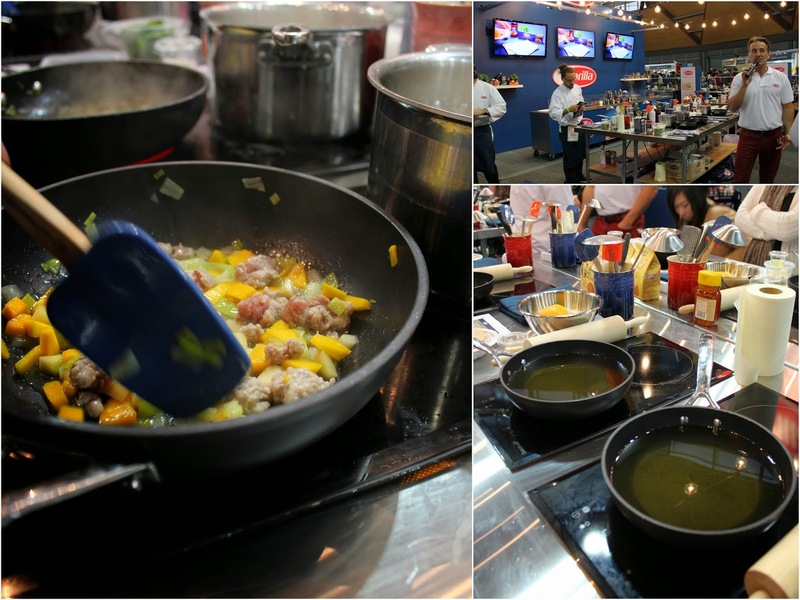 I also visited the Good Food and Wine show not too long ago where peeps were able to meet different different chefs, wine and produce sellers. 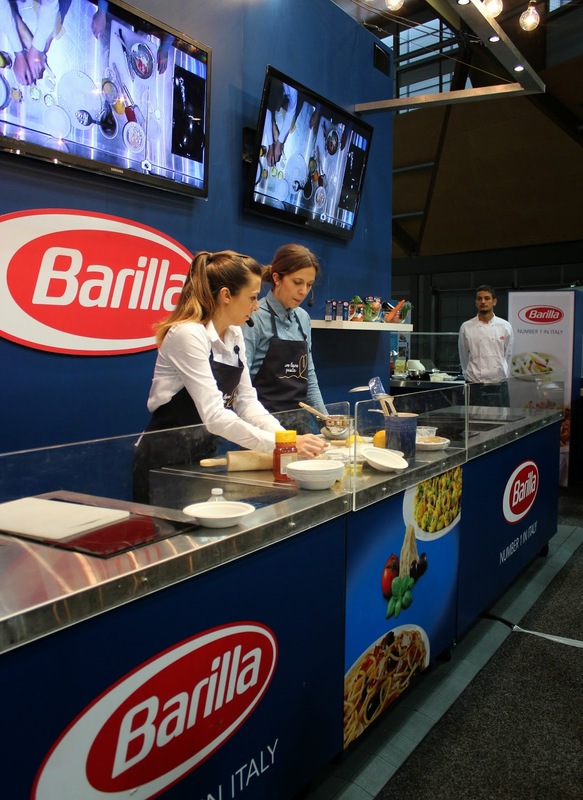 With thanks to Barilla and Bite Communications, I learnt how to make seadas (aka cheese fritters) for breakfast with Sammy and Bella from MKR. Annnddddd breakfast is served! 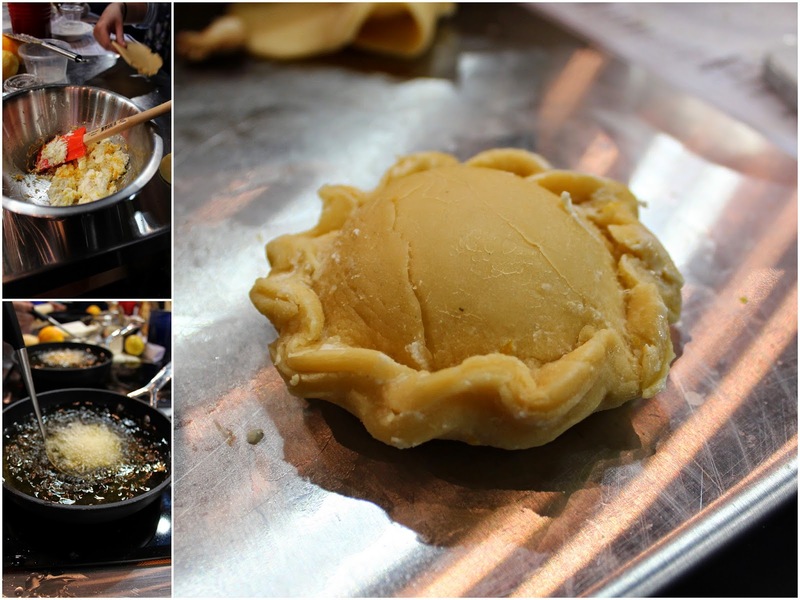 The seadas were stuffed with orange and lemon zest plus a generous amount of ricotta cheese! Cooking these babies at 9 am on a Saturday morning made my tummy grumble with so much hunger. 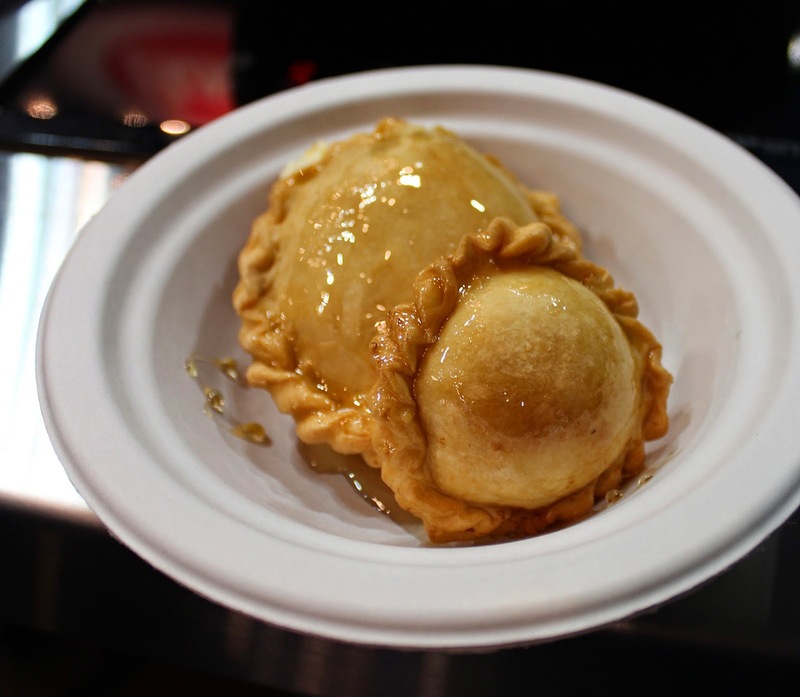 with a drizzle of honey, the seadas were finger licking good. A few hours later, lunch was back at the Barilla station. Chef Luciano showed us to make a super duper easy pasta dish within less than 20 minutes aaannnddddddddd the pasta was cooked to al dente if I must say so myself. So that is pretty much a wrap of what's been happening over the past couple of months. Sorry again for being a bad blogger. Regular weekly and monthly catch up posts will be back! Stay tuned peeps! Missed reading your posts dude. Them seadas looks freakin' amazing! Heard Good Food & Wine this yr was amaze. Cafe Sydney is so pricey but the food and those views - makes one glad that at least, you can use money to buy that stuff. Worth it for the occasional treat! Café Sydney's amazing I've heard! I've been wanting to visit this place for such a long time!! That dessert platter looks fab'! :) I must say I admire the fact you sat outside though!!! but the dessert looks amazing! Views are spectacular but whenever I have overseas visitors, I clasp my hands in glee coz it's a trip to Sydney Fish Market. hope you feel better soon. 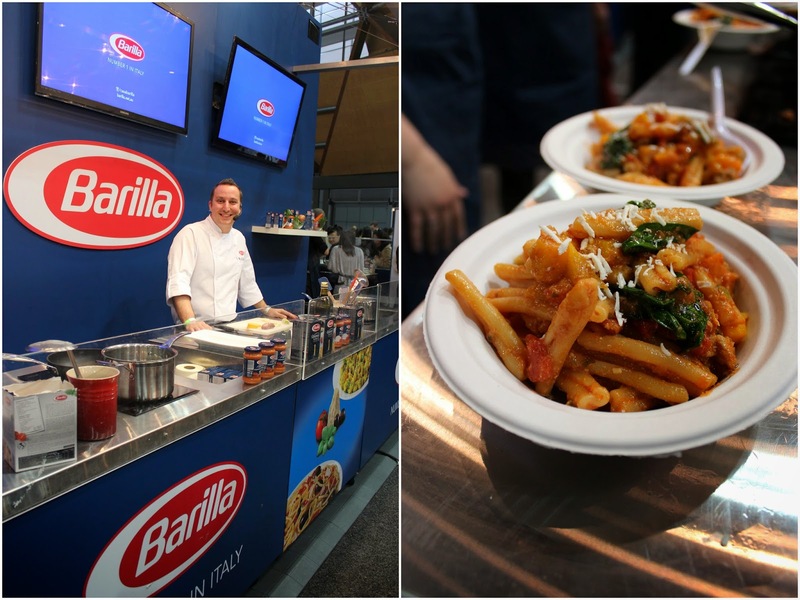 the barilla cooking class looks like so much fun. I'm intrigued by their gnocchi! Now I'm stuck again staring at the dessert platter. When it's hard to choose one...choose all!!! This year hasn't been easy for me too. But hang in there, Shanshan! I hope it'll get so much better for you soon. And wow the seadas look flawless! wow, you've had some fab food tastes recently! Haven't been to Cafe Sydney is a decade but that seafood platter is SCREAMING my name.